Ahhh…the hydrogen economy. What a wonderful idea! Hydrogen can be made from electricity and water. 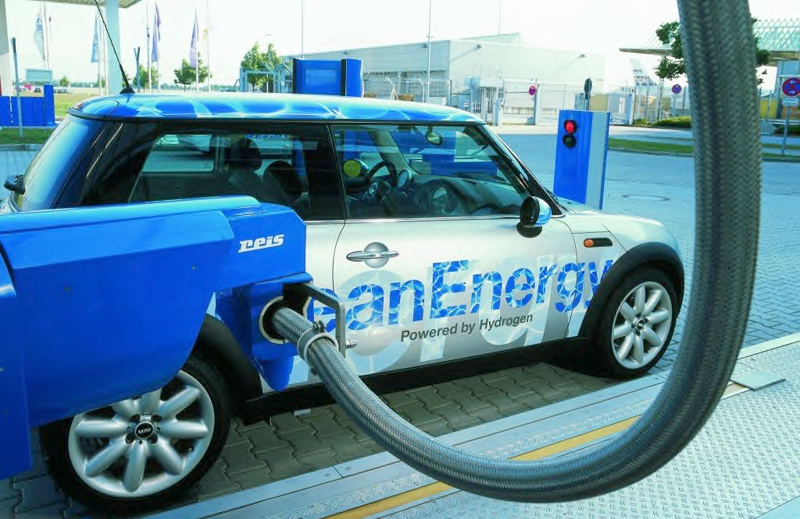 Then you can put the hydrogen into your car where it is turned directly into electricity in a fuel cell, and the only waste product is water. It’s a completely closed system; water to hydrogen to water to hydrogen to water. There’s really only one problem with it: it doesn’t work. A little basic science: Hydrogen, in its cleanest form, is made from water by putting in electricity (one electron for every hydrogen atom.) But the process is highly inefficient. The very best that you could even theoretically hope to achieve would be breaking even (although we realistically have no hope of ever coming close to that). Which means, you have to think of hydrogen as a battery (although not a very efficient one). It stores energy from electricity (that you have already made elsewhere), gives some of it back, and wastes the rest. The simple truth is, there is no free lunch. There are no hydrogen mines and hydrogen can never be used to make the electricity to make itself because it is a net consumer of electricity. So why are we even talking about it? Oil companies are promoting H2 (that’s science geek speak for “hydrogen”) for a couple of reasons. First of all, you will still have to go to the pump to fill up on hydrogen. This means they don’t have to release their stranglehold on you and your gas tank. The very thought of a world where people have clean energy delivered directly to their homes WITHOUT making a trip to the 167,000 gas stations in America is terrifying. Secondly, you have to ask “Where are they planning to get all this hydrogen?” Simple, the same place they get everything else; oil! That’s right, just because you can make H2 from water doesn’t mean you have to. Remember, splitting the hydrogen out of water requires putting energy into the process; more energy than you get out by using the hydrogen. 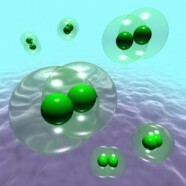 Even if they wanted to make hydrogen the clean way, where would they get all that energy? Nope, better to just make hydrogen from oil. After all, half of the energy in simple hydrocarbons (natural gas and such) comes from hydrogen. The problem is, the other half comes from carbon (read “greenhouse gas”). That means that oil companies can just retool their big refineries into making hydrogen instead of gasoline. Problem is, splitting the hydrogen out leaves a big pile of carbon (probably as carbon dioxide). That leaves us back where we started which, frankly, is just what they had in mind. Car companies are promoting hydrogen, too. What’s their angle? They know that economical availability of hydrogen is years away. By coming out in favor of hydrogen, they can appear to be promoting a green technology which, unfortunately, just isn’t there yet. Net result, again, business as usual. No need to retool the factories and no need to sell electric cars until the hydrogen fuel cell is available. But why resist? Wouldn’t they make just as much money selling electric cars and regular cars? Yes, and therein lies the problem. Car manufacturers and their dealer channels don’t make any money selling cars. They make their money servicing cars; performing oil changes every 6,000 miles and servicing the the thousands of parts in an internal combustion engine that are damaged by the high temperatures and RPMs or simply wear out. Electric cars, on the other hand require almost no service. Electric cars would put the traditional dealer channel out of business. Electricity is the answer. For now. Converting oil into hydrogen and carbon dioxide doesn’t fix the problem. Converting electricity into hydrogen and back into energy doesn’t make any sense. The only thing that makes sense is putting electricity directly into your car and using it as electricity. Where will we get all this electricity? There isn’t an easy answer to this question for now. We have hydroelectric today, and solar and wind are coming online fast, with geothermal and tidal and a host of other technologies in the wings. And for the time being, a bunch of it will have to be generated by burning carbon and using (God help us) nuclear reactors. But we don’t have any electricty to waste, and hydrogen is a wasteful technology. Its only advantage is that it props-up oil company and auto company profits. Excellent Rick! H2 as an inefficient battery sums it up nicely. It has always bugged me that no one pointed out that hydrogen isn’t free, that it isn’t tucked under a rock someplace. The whole hydrogen discussion always felt like a *slightly* more plausible argument than cold fusion. What I can’t figure out is why they aren’t busting everything to get the cost of solar panels down to a dollar a square foot and then putting them on the roof of every man woman and dog in the country. Good question. Actually, solar panel efficiency has continued to improve every few months for the past 20 years or so. Currently, the really expensive ones are at 40% efficiency, which is about as far as we can go with this technology. The challenge now is, as you say, one of scale. And, of course, there will be new breakthroughs. Is oil the only hydrocarbon that we can separate to get the hydrogen? If they could split something else that is more commonly found, wouldn’t it be a good alternative? The answer is actually hidden in your question; “hydrocarbon.” Hydrocarbons are compounds comprised primarily of hydrogen and carbon, so once we take the hydrogen out, we are left with the carbon. It’s fun to think about the history of carbon on this planet. Our atmosphere used to be thick with carbon dioxide; so thick you couldn’t breathe it. Over a period of millions of years, plants pulled all that carbon out of the atmosphere and, with the help of geologic activity, buried it neatly in the ground. Over the last century, we have dug up millions of tons of the stuff and put it back into the air. Thanks for your comments. I’m glad you enjoyed it!